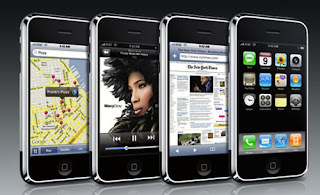 Apple's iPhone topped the list of the best smartphones category with a rating of 64 according to Consumer Reports. It was followed by the Palm Treo 755p (63) and the Samsung BlackJack (62). iPhone sales in the US is only trailing Blackberry. Its only the 1st version and I m sure the next version will be a much improved iPhone and will surely give the other mobile device manufacturers a run for their money. Iphone is not a smartphone. Sync problems and typing speed limits it. It is a very nice phone and web browser though.